Dr. Greenberg received his medical degree from New York University School of Medicine and completed residency training in Internal Medicine at North Shore University Hospital/Memorial Sloan Kettering Cancer Center. He completed fellowship training in Pulmonary Medicine at New York University/Bellevue Hospital Center. He went on to become a New York Lung Association Research Fellow and attending physician at the Bellevue Hospital Chest Service. Shortly thereafter, he was recruited back to North Shore University Hospital as a faculty member in Pulmonary Medicine. Dr. Greenberg has dedicated his academic and clinical research career to the understanding and treatment of disorders affecting sleep. He is the medical director of the Northwell Sleep Disorders Center, which is one of the largest sleep medicine diagnostic and treatment facilities in the region. 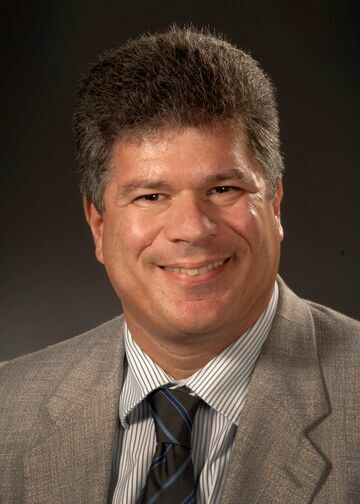 As Program Director for the Hofstra Northwell Sleep Medicine Fellowship, one of the few ACGME accredited graduate medical education training programs in sleep medicine, Dr. Greenberg plays an important role in educating the next generation of pulmonary and sleep medicine physicians. He is also instrumental in educating the professional medical community and is frequently invited to lecture on sleep medicine. Dr. Greenberg has helped to advance the fields of pulmonary and sleep medicine as an investigator in multiple research trials that have made contributions to our understanding of the pathophysiology and cardiovascular consequences of sleep disordered breathing. In addition, Dr. Greenberg was a co-investigator in a major international clinical trial that established the efficacy of continuous positive airway pressure therapy as an important treatment for patients with milder forms of obstructive sleep apnea. His work has also contributed to the development of new therapies for insomnia. Chen, L., Sica, A., Greenberg, H.E., Scharf, S.M. “Role of hypoxemia and hypercapnia in acute cardiovascular response to periodic apneas in sedated pigs.” Respiration Physiology 111:257-269, 1998. Greenberg, H.E., Sica, A., Muller, D., Scharf, S.M. “Chronic intermittent hypoxia increases sympathetic responsiveness to hypoxia and hypercapnia.” J Appl Physiol. 86:298-305, 1999. Greenberg, H.E., Sica, A.L., Scharf, S.M., Ruggiero, D.A. “Expression of c-fos in the rat brainstem after chronic intermittent hypoxia.” Brain Research 816:638-645, 1999. Sica, A., Greenberg, H.E., Scharf, S.M., Ruggiero, D.A. “Immediate-early gene expression in cerebral cortex following exposure to chronic intermittent hypoxia.” Brain Res. 870:204-210, 2000. Sica, A., Greenberg, H.E., Ruggiero, D.A., Scharf, S.M. “Chronic-intermittent hypoxia: a model of sympathetic activation in the rat.” Respiration Physiol 121:173-184, 2000. Sica A.L., Greenberg H.E., Scharf S.M., Ruggiero D.A. “Chronic-intermittent hypoxia induces immediate early gene expression in the midline thalamus and epithalamus.” Brain Res 883:224-8, 2000. Greenberg, H.E., Htoo, A.K., Tongia, S., Chen, G, Henderson, T, Wilson, D, Liu, S.F. “Activation of nuclear factor kappa-B in obstructive sleep apnea: a pathway leading to systemic inflammation.” Sleep Breath. 10(1):43-50, 2006. Greenberg, HE, Ye, X, Wilson, D, Htoo, AK, Hendersen, T, Liu, SF. “Chronic intermittent hypoxia activates nuclear factor-kappa-B in cardiovascular tissues in vivo.” Biochem Biophys Res Commun. 343(2):591-6, 2006. Chandra S, Sica AL, Wang J, Lakticova V, Greenberg HE. “Respiratory effort-related arousals contribute to sympathetic modulation of heart rate variability.” Sleep Breath. 2013, 17:1193–1200. Song D, Fang G, Greenberg H, Liu SF. “Chronic intermittent hypoxia exposure-induced atherosclerosis: a brief review.” Immunol Res. 2015.